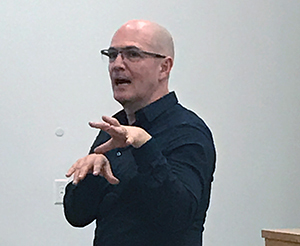 On February 23, Fordham’s Center on Race, Law & Justice hosted a lecture by Arnaldo Cruz-Malavé, Fordham University professor and chair of the Latino Studies Department. Cruz-Malavé presented material related to his critical essay concerning the 1967 film The Life, Death, and Ascension of Lupe Velez, directed by Puerto Rican filmmaker José Rodríguez-Soltero and starring New York Puerto Rican actor Mario Montez. According to Cruz-Malavé, Rodríguez-Soltero in his film artfully synthesized the ironic conventions of camp and the ecstatic fervor that many white queer underground artists of the time believed was fundamental to the character of Puerto Rican immigrants. Arnaldo Cruz Malavé. Photo by Shane Danaher. According to Cruz-Malavé, Montez and Rodríguez-Soltero play with, and often violate, these and other cultural assumptions of the underground, specifically those relating to race, gender, and ethnicity. The film, 50 minutes in length, loosely retells the life story of Lupe Velez, a Hollywood star of the 1920s and 30s. Billed as the “Mexican Spitfire,” the real-life Velez met with uneven success in her career and experienced infamously volatile domestic relations. She took her own life in 1944 with a barbituate overdose. 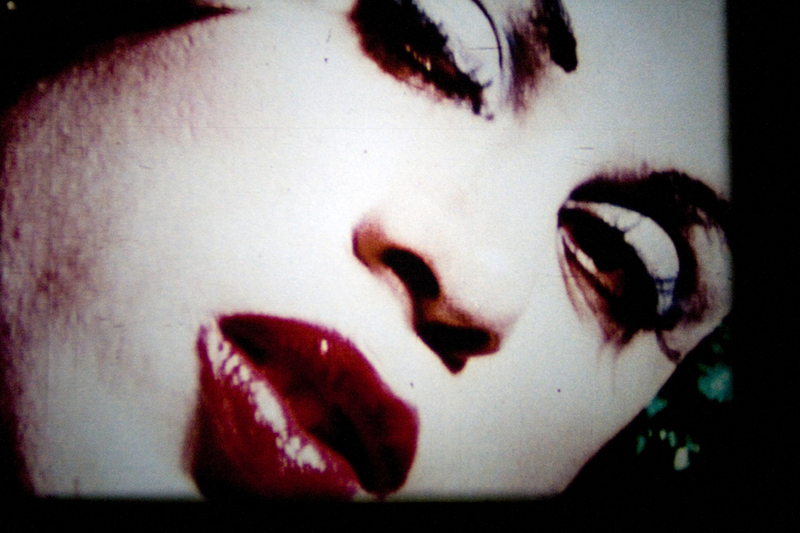 In Rodríguez-Soltero’s fictionalization, the role of Velez is played by Puerto Rican drag artist Mario Montez, adding a subversive twist to a narrative that, according to Cruz-Malavé, violated the conventions of both the dominant white culture of the 1960s and the queer subculture of the Lower East Side. He argues that Lupe Velez simultaneously challenges the iconography of the Hollywood studio system and the cultural assumptions concerning Puerto Ricans in the 1960s New York City art scene. The Puerto Rican community of that time, Cruz-Malavé pointed out, had experienced multiple displacements, both within the city and without, which he believes influenced Puerto Rican filmmakers’ tendency to obscure boundaries altogether. At home neither entirely within their adopted city, nor within the camp conventions of the queer underground, Puerto Rican artists, Cruz-Malavé says, used their works to express their unique rootlessness. Cruz-Malavé’s talk was part of the center’s Colloquium on Race and Ethnicity.